Before you know it, we will be looking at our calendar and wondering,“When did October get here? 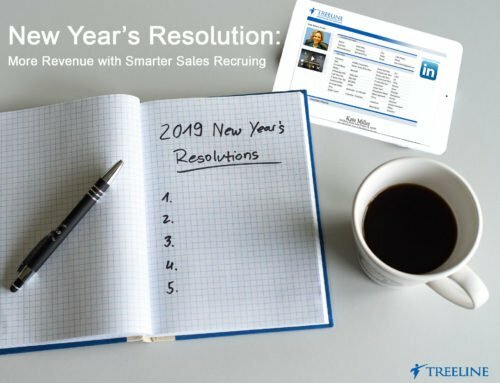 !” As we approach the end of the year, the final push to bring in revenue brings new challenges for many salespeople. Think about it, why do most orders and PO’s come crashing in at the end of the month or worse yet after the calendar year is over? Buyers know all about quotas, commissions, bonuses, and sales contests to bring in last minute revenues. So…they wait until you break down and allow price to become the only issue on the table. The “Golden Rule” of Negotiating: never let a negotiation come down to one issue…ever! Why? Because, by definition there is a winner and a loser. Unfortunately, a common habitual tendency is to offer healthy discounts when a competitive price is the right price. I know you need the deal while looking good in the eyes of your boss, but at what cost? Let’s be honest, buyers are smart and getting smarter. They are taking negotiating classes while salespeople are taking more product classes. Use these 5 tips as a means to create a more collaborative approach with your customer to ultimately establish a win-win outcome without discounting price. No buyer wants to purchase from a salesperson lacking confidence…but that same buyer has NO problem negotiating price with that salesperson. Act as if you belong in this situation and believe that you have earned the right to ask for the business with the value you’ve created. However, don’t confuse confidence with arrogance. A confident salesperson gives the customer comfort with their purchase decision. An arrogant salesperson lacks credibility and can be perceived as dishonest with their customer. Confidence comes from believing in your product, believing in yourself, and knowing your customer. Begin every meeting with the end in mind and have a clear plan on the desired outcome. What is your walk away? Have you established a settlement range where you know what you want and what you need to have? How long should the negotiation process take place? When does this deal need to close and is time on your side? Who should you be negotiating with? Do you know who the decision maker is and do you have access to them? What other stakeholders need to be present? Strength: What does your product do that the buyer needs? Does your product become exclusive whereas the competition doesn’t compare equally? Are you willing to take risks during the negotiation process knowing it may only produce minimal damage? Use your expertise, differentiation, and knowledge about their buying criteria to give you the strength to make sounds decisions on their position as well as your own. Speed: Know the buyer’s deadline. In other words, how soon do they need this product or service and more importantly…why do they need it? These drivers over a period of time can be used as pure leverage. Businesses are always looking for ways to be more productive, efficient, and innovative in order to gain a more competitive advantage in their marketplace. If they have a date in mind as to when they need this product/service implemented, delivered or initiated, then you have a date that they own, not a date where you need the order. Use their deadline as a means to negotiate, not your sales date in order to get a commission. Remember, buyers don’t care about your needs and will use your deadline against you once your needs become more important than theirs. The more you know their deadlines and the less they know about yours will give you immediate power during any negotiation. Substance: You’ve heard the phrase, “the person with the most toys wins.” Well, the individual with the most information from the other side gains a considerable advantage. The trick is to obtain this information as early as you possibly can. Why? Buyers are more willing to give information during the early (non-threatening) stages of the buying/selling process. However, as the buyer begins thinking about making a decision, the 11th hour bell will begin to sound and they will shut down knowing that any information presented will hurt their chances in getting what they want. Have a goal of key information you need right from the beginning of your sales process. Ask any questions with the 4 “W’s” attached: Who, What, Why, and When. This will provide a good baseline of information needed during the sales process. Throughout the negotiation, list the issues in order of importance, as well as the easiest to the most difficult. Then begin to hit each issue one-by-one and do NOT begin with the toughest issue on the table. You may never get to the other issues and the discussions will begin with a negative tone. I’m not saying concession is a monetary transaction. It’s anything that the buyer feels like they received in exchange for granting something to you or accepting something as an agreement. *A quick test of negotiation strength: Try not to discount for the next 30 days and see what happens to your selling skills as well as the buyer’s belief in you and your product. List price deals only! Hold your ground because once you lower your price point, that number will become the new standard for your customer moving forward. Remember, we control the sales process from start to finish and can begin leading our customers with helpful or hurtful outcomes depending on our negotiating strategies. Quick wins don’t always mean a lasting benefit. Practicing the right negotiating techniques will give any salesperson a strong foundation during the buying/selling process. Keep this checklist handy during any negotiation.